Favourite time of the month! Brand new issues of both Adore Home and Lonny have gone live in the past few days! 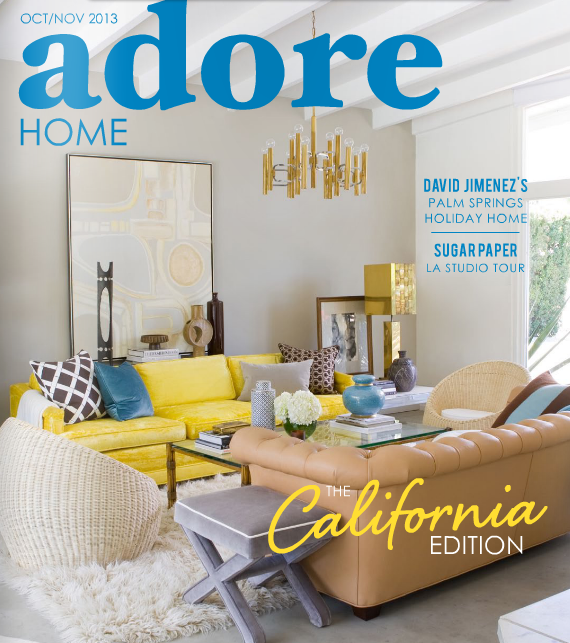 (above) Click to read the new "California Edition" of Adore Home. (above) Lonny Lonny Lonny! I'm really loving Lonny under the new editor. I hate to say it, but it needed to go a little more... mainstream. I like it a lot. Click to read October Lonny. (above) In other news: (1) The DIVINE "Alfreda" Turkish Kilim Rug is available again. 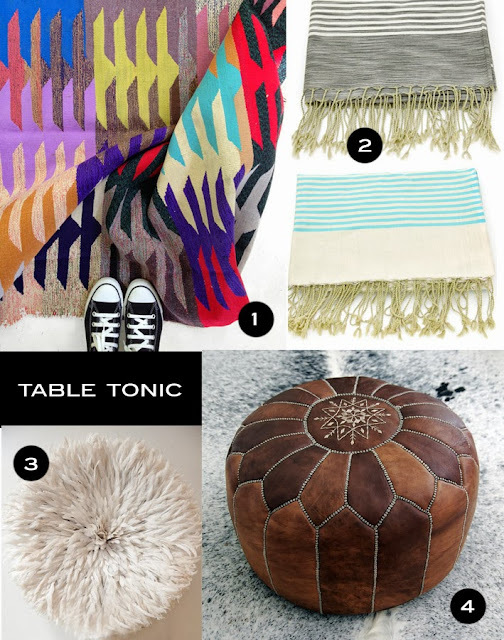 (2) We have some amazing new "Malibu" Beach Blankets (think HUUUGE Tunisian Towel!). (3) Large Off White Juju Hats are back in stock. (4) our Caramel Moroccan Leather Pouffes (the best seller online!) are back in stock.